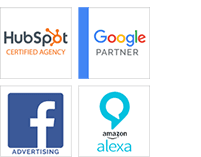 Social media sites like Facebook, LinkedIn, and Google+ can be high efficiency platforms that serve as a hub for all your social media engagement activities. Video and photo sharing sites such as YouTube, Flickr, and Instagram can be repositories to archive content that is distributed through other channels. Blogs can become niche-market penetration tools to reach individual audience segments. That said, social media should not be viewed as a standalone channel that is separate from other marketing initiatives. Instead, view it as a “multiplier” that integrates with and enhances existing marketing communication strategies. In other words, rather than create social media campaigns, make all of your marketing campaigns social. Here are eight ways to integrate social media with other forms of marketing. Rather than think of Twitter as a single channel that combines product promotion, brand monitoring, content marketing, and customer interaction, make it one part of your customer service matrix by creating a separate account for the sole purpose of responding to customer queries, feedback and concerns. This approach, popular among larger companies like Comcast and Network Solutions, is one that smaller businesses can easily emulate. Email and social media compliment each other. Here are four ideas for how to combine them. Include social media icons that link to your business social networks in email templates, to make it easy for readers to find you in social media. Add social sharing buttons to email templates. That way, if someone likes your campaign all they have to do is click a button to share it with friends and followers. Post email campaigns to social media. Some email marketing platforms include the ability to automate this process. Convert social followers to email contacts. Email marketing platforms like MailChimp, Constant Contact, Mad Mimi, and iContact offer signup forms designed for use on Facebook Pages. This is where Google+ can be an asset. In “SEO: 5 Reasons not to Ignore Google+,” Contributing Editor Jill Kocher explained that sharing content on Google+ has a causal relationship with higher Google rankings, and Google’s search crawlers use Google+ as a source of fresh content. Journalists look for credible sources when conducting research for articles. One place they look is social media. Instead of hoping they will find you, follow them, and then comment on and share their content. More importantly, produce content of your own that establishes your thought leadership and expertise, which you syndicate via social media. Read more at Practical Ecommerce.